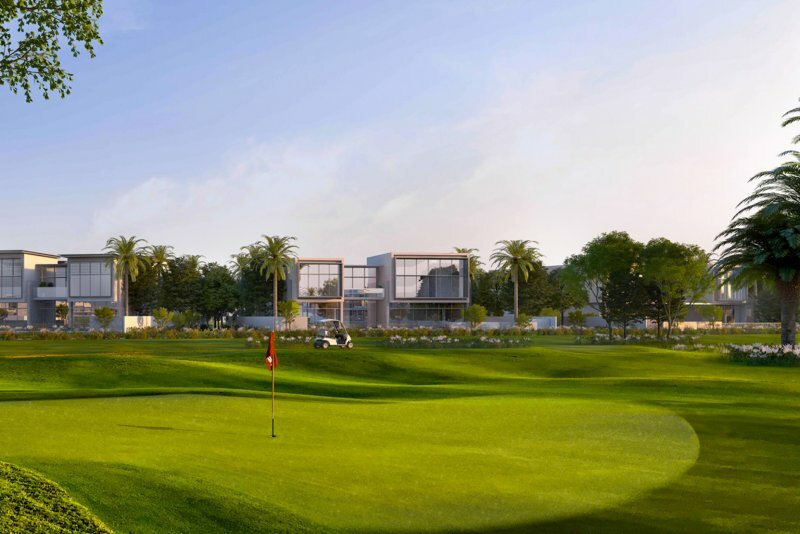 Golf Place is a new luxury villa community located in the southern enclave of Dubai Hills Estate. 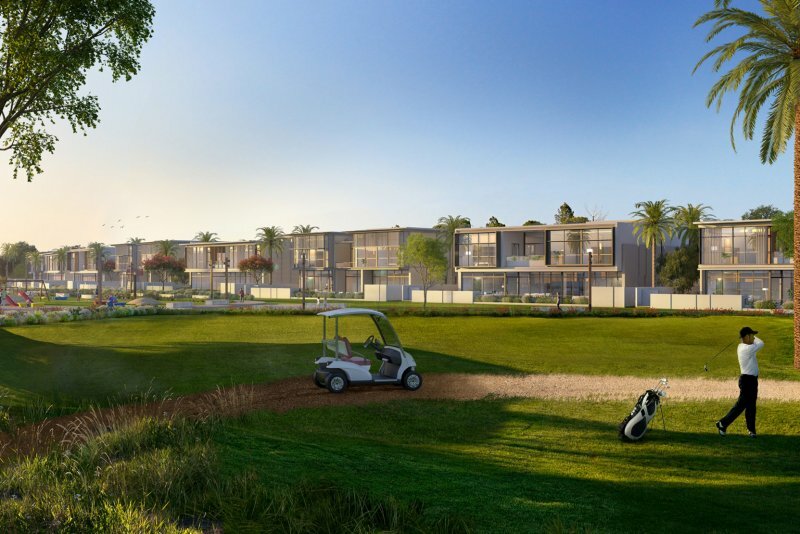 The 351 villas are situated beside the golf course and will be available in four-, five- and six-bedroom layouts, ranging in size from 5,100 to 9,900 square feet. Buyers will be able to choose from three villa styles: Contemporary, Elegant and Modern. 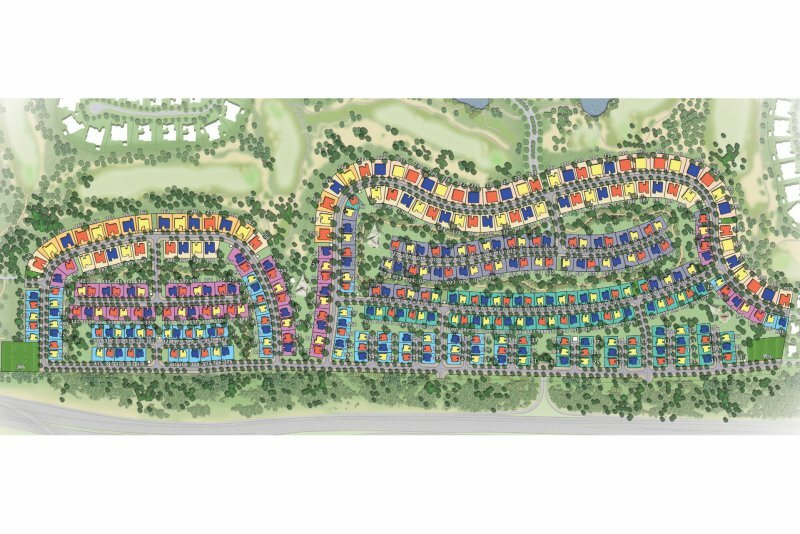 Golf Place Villas are on the outer ring of Golf Place. 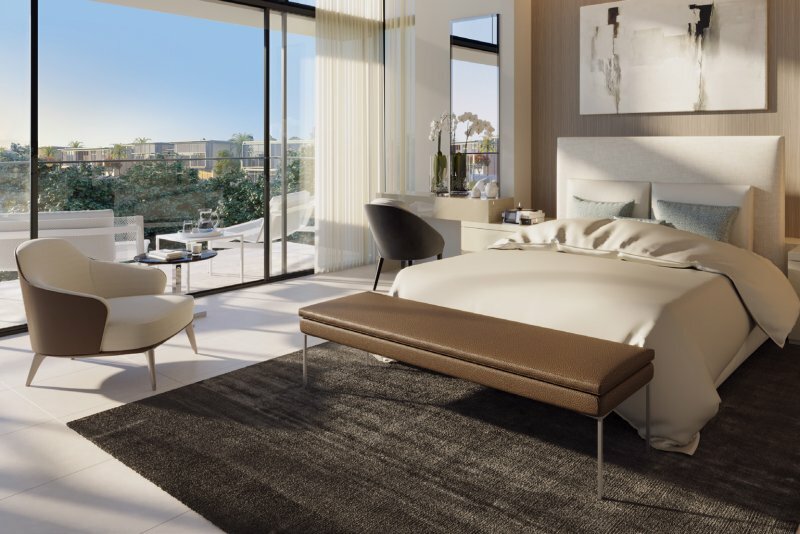 Each property has a private garden area, a recreation room, a spacious lounge area and a study. 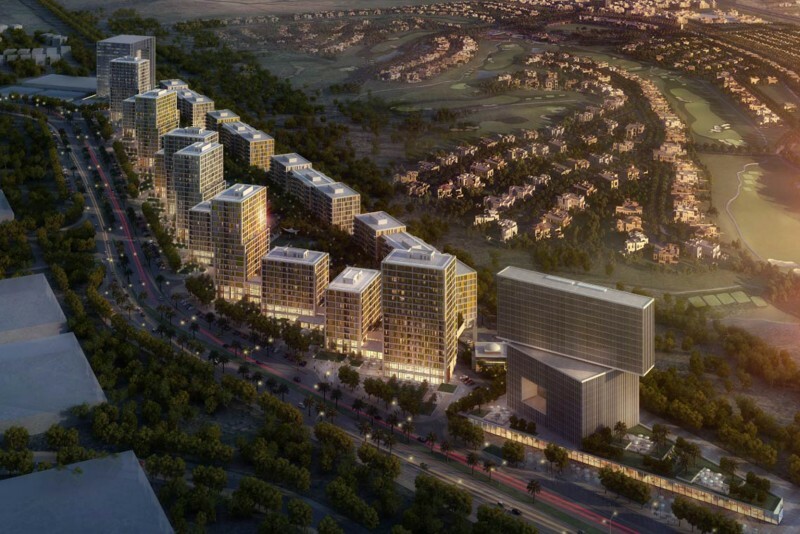 A number of properties, to be known as Golf Place Vistas, will look out directly onto the golf course. 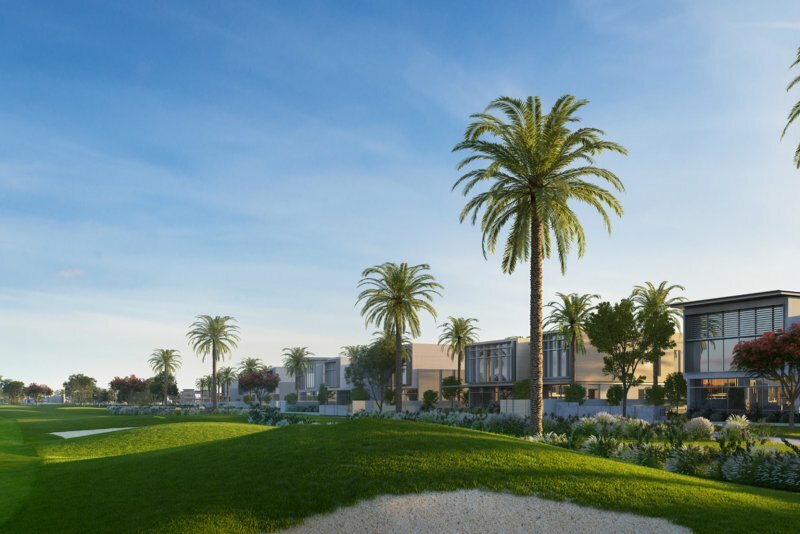 The six-bedroom villas are available in three architectural façade styles with built-up areas ranging from 7,100 square feet to 9,900 square feet. 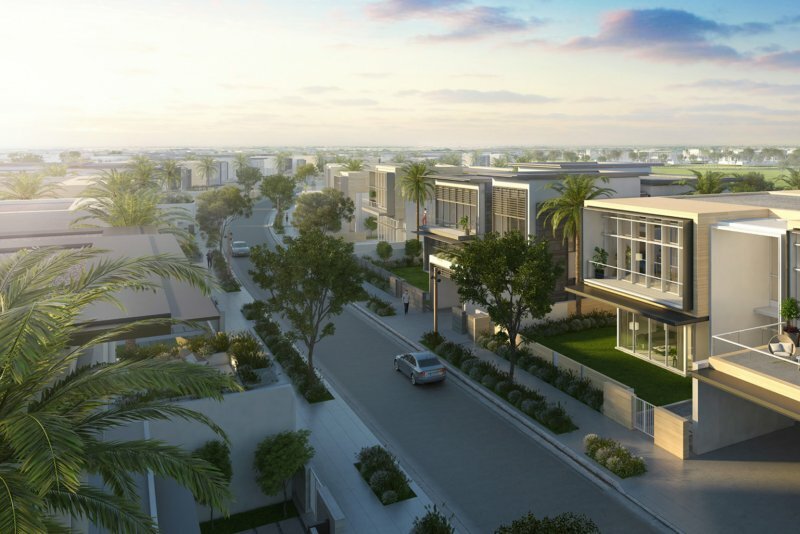 The four- and five-bedroom villas are available in three architectural façade styles with built-up areas ranging from 5,100 square feet to 7,400 square feet. 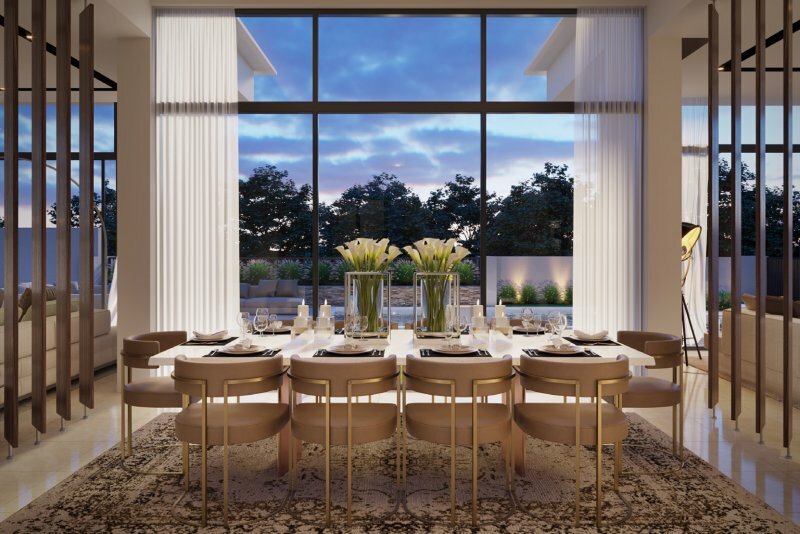 Style 1 Contemporary: Suite 7,681; Balcony & Terrace 1,054; Garage 539; Total BUA 9,274 sq ft. Style 2 Elegant: Suite 7,618; Balcony & Terrace 1,188; Garage 453; Total BUA 9,259 sq ft. Style 3 Modern: Suite 7,754; Balcony & Terrace 1,378; Garage 536; Total BUA 9,668 sq ft. 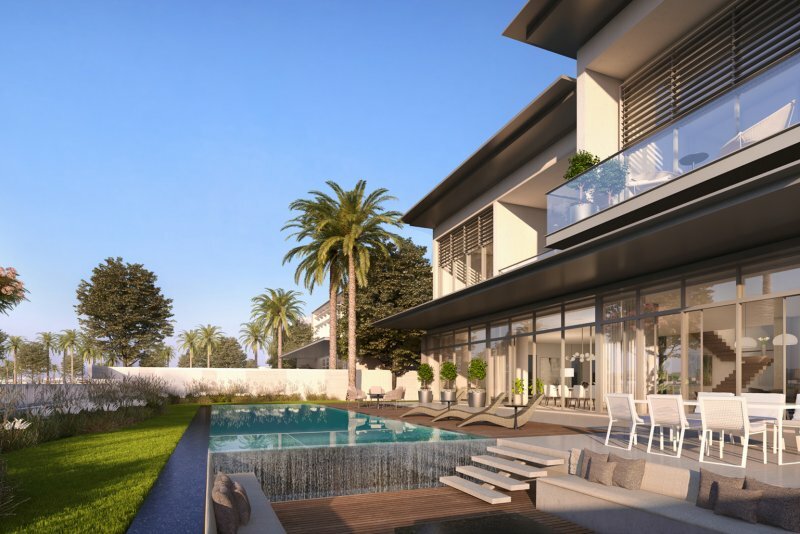 Style 1 Contemporary: Suite 6,912; Balcony & Terrace 1,085; Garage 534; Total BUA 8,531 sq ft. Style 2 Elegant Suite: 6,981; Balcony & Terrace 1,298; Garage 521; Total BUA 8,800 sq ft. Style 3 Modern Suite: 7,037; Balcony & Terrace 1,084; Garage 548; Total BUA 8,669 sq ft. 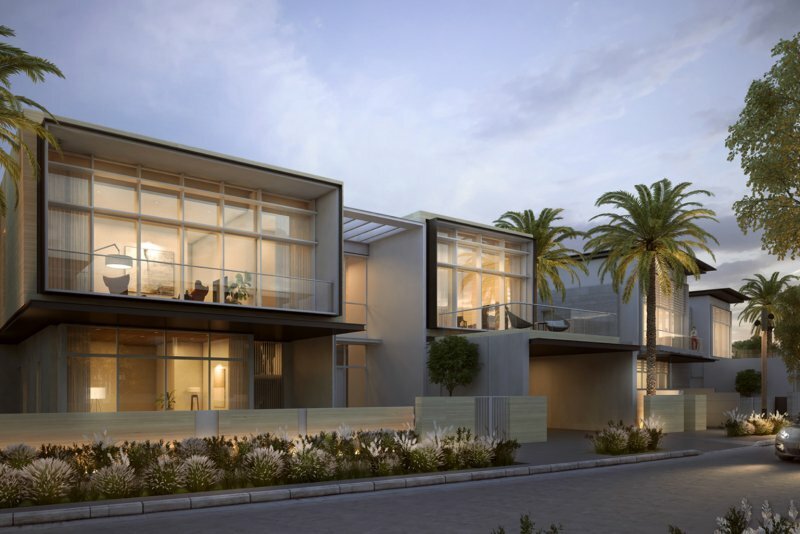 Style 1 Contemporary Suite: 8,135; Balcony & Terrace 1,290; Garage 475; Total BUA 9,900 sq ft. Style 2 Elegant Suite: 8,091; Balcony & Terrace 738; Garage 457; Total BUA 9,286 sq ft. Style 3 Modern Suite: 8,145; Balcony & Terrace 700; Garage 489; Total BUA 9,334 sq ft. Style 1 Contemporary Suite: 6,277; Garage 415; Balcony & Terrace 703; Total BUA 7,395 sq ft. Style 2 Elegant Suite: 6,257; Garage 420; Balcony & Terrace 603; Total BUA 7,280 sq ft. Style 3 Modern Suite: 6,139; Garage 420; Balcony & Terrace 553; Total BUA 7,112 sq ft. Style 1 Contemporary Suite: 4,909; Garage 397; Balcony & Terrace 422; Total BUA 5,728 sq ft. Style 2 Elegant Suite: 4,949; Garage 397; Balcony & Terrace 389; Total BUA 5,735 sq ft. Style 3 Modern Suite: 4,923; Garage 397; Balcony & Terrace 281; Total BUA 5,601 sq ft. Style 1 Contemporary Suite: 5,932; Garage 469; Balcony & Terrace 1,004; Total BUA 7,405 sq ft. Style 2 Elegant Suite: 5,952; Garage 469; Balcony & Terrace 901; Total BUA 7,322 sq ft. Style 3 Modern Suite: 5,921; Garage 469; Balcony & Terrace 479; Total BUA 6,869 sq ft. Style 1 Contemporary Suite: 4,223; Garage 430; Balcony & Terrace 706; Total BUA 5,359 sq ft. Style 2 Elegant Suite: 4,241; Garage 430; Balcony & Terrace 714; Total BUA 5,385 sq ft. 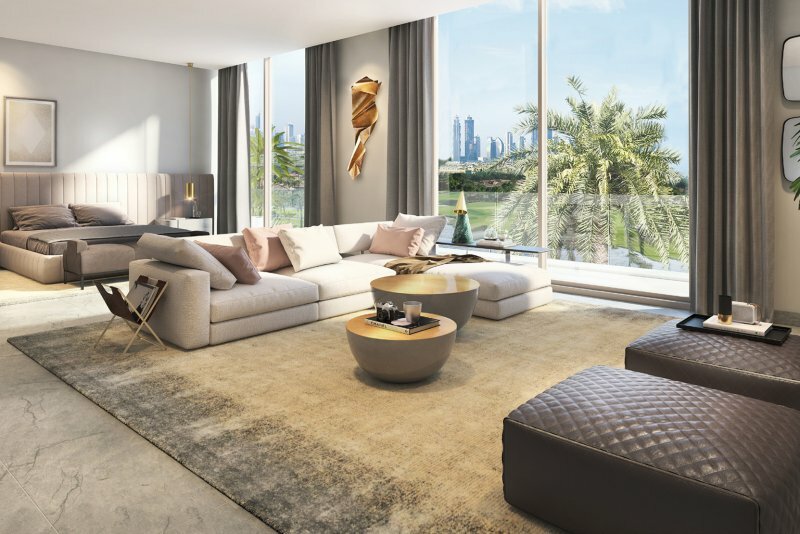 Style 3 Modern Suite: 4,249; Garage 430; Balcony & Terrace 440; Total BUA 5,119 sq ft.
One-click links to properties currently on the market in Golf Place at Dubai Hills Estate. 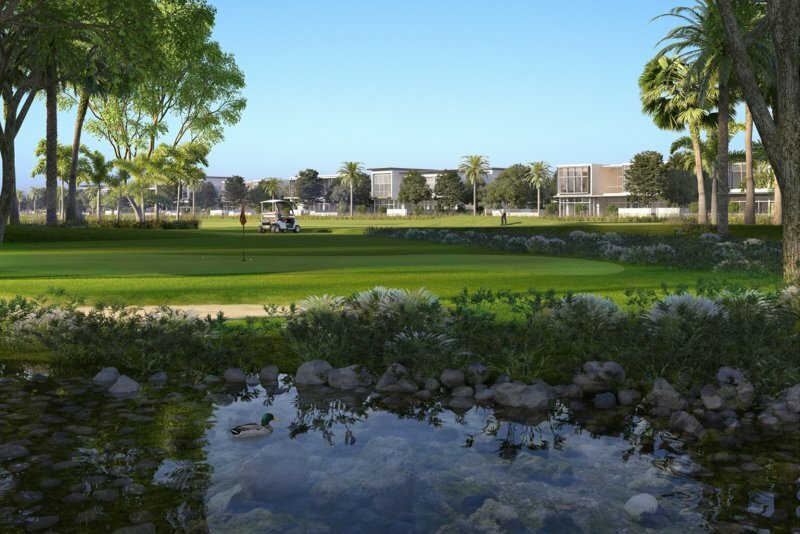 Nearby facilities include a 282,000 sq ft regional mall, three schools, parks and open spaces, 54 km bicycle routes, an 18-hole championship golf course, two hospitals, and two metro lines. Eventually the area will have ‘seamless accessibility’ to Metro stations, and be part of an integrated bus network.